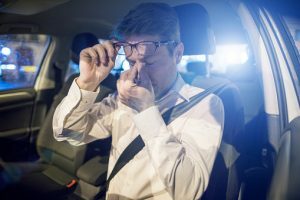 Home » Blog » How Much Sleep Do You Need to Reduce the Risk of Drowsy Driving Accidents in Bradenton? How Much Sleep Do You Need to Reduce the Risk of Drowsy Driving Accidents in Bradenton? Getting a sufficient amount of sleep is essential to staying healthy and keeping your brain sharp. Unfortunately, far too many people are not getting enough rest. With the demands of a busy life, it is easy to miss out on your beauty sleep. The problem is, if you don't get sufficient rest, your cognitive function, judgement, and reflexes can all suffer. This is bad news for you all the time when you try to do daily tasks but cannot concentrate or you find yourself nodding off. It is especially bad news when you decide to drive, as you could endanger yourself and other motorists. You should make it a goal to try to get a sufficient amount of sleep each and every night in order to try to prevent drowsy driving accidents. One big problem with this, however, is that you may not actually know how much sleep is enough to rest your brain and perform to the best of your abilities. How Much Sleep Should You Get to Avoid Drowsy Driving Accidents? NPR recently published a report detailing the risks fatigued drivers face. Drivers who get insufficient sleep are significantly more likely to get into drowsy driving accidents. In fact, a driver who has slept for just five or six hours has twice the chances of getting into a crash as compared with someone who has slept for at least seven hours. More than one out of every three people in the United States regularly fails to get enough sleep, so there are many people on the roads who have not gotten the recommended minimum of seven hours of sleep. The director of Traffic Safety and Advocacy Research for AAA warns that if you have not slept at least seven to eight hours over the course of a 24-hour period of time, you should not be driving. Ideally, you should get a full seven to nine hours of uninterrupted sleep each and every night so you can avoid not only the risks of drowsy driving but also other consequences of insufficient sleep, such as depression and weight gain. If you are not able to get this much sleep at nighttime, you can somewhat make up the sleep deficit by taking naps during the course of the day. However, long naps are not as restful as a full night sleep, although they can at least help to bring down the risks of a collision caused by drowsy driving. If you decide to drive when you're feeling too tired, you could find yourself responsible for injuries you may cause others. Try to get sufficient rest so you do not put yourself into this situation. You should also stop and take a brief nap if you notice yourself losing concentration behind the wheel due to fatigue. If you or a loved one has been in an automobile accident with someone who may have fallen asleep at the wheel, an experienced accident attorney can help you secure evidence and pursue compensation.